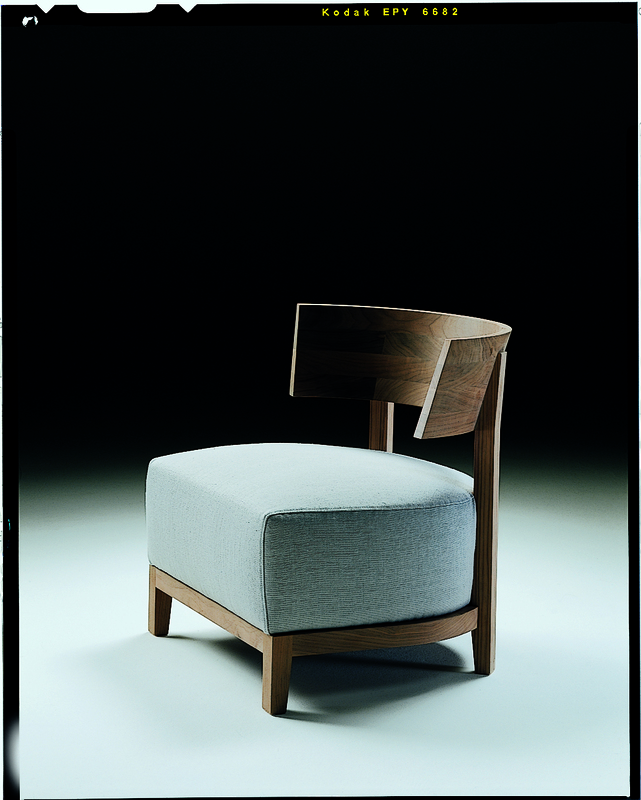 THOMAS is an elegant chair with a high seat cushion that rises from the ground, a substantial block resting on a wooden base. The curved wooden back completes the strikingly original proportions. 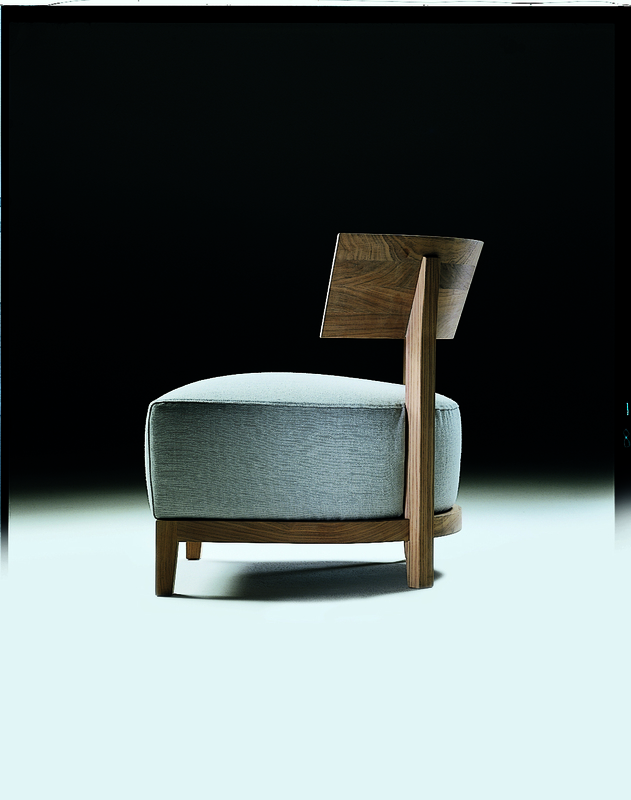 THOMAS looks almost like a big ottoman with a wooden back, where the upholstered part is the true heart of the design. With a removable fabric or leather cover, also ideal for public spaces and VIP lounges.